From the Captain Marvel movie comes this 4-pack of articulated and detailed Minimates figures! 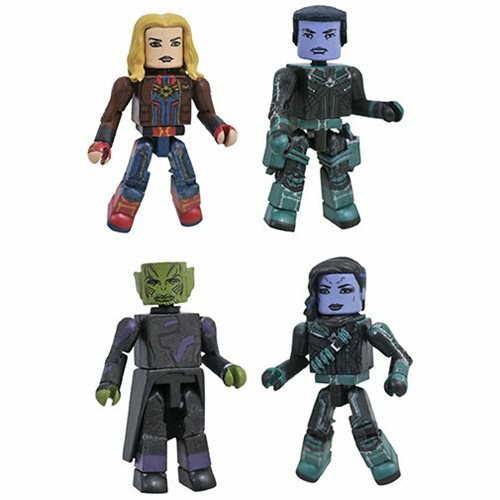 The Captain Marvel Movie Minimates Box Set includes Captain Marvel, Kree soldiers Att-Lass and Minn-Erva, and the Skrull Nuro! Each 2-inch Minimates mini-figure features 14 points of articulation and fully interchangeable parts. The set comes packaged in a full-color window box.